The technology content in modern products is increasing at a relentless pace. Across diverse industries, once simple products like light bulbs or thermostats are quickly becoming complex electronic devices with wireless interfaces, touch screens, and software. To remain relevant as a product company in this era, one clear requirement is a competent electronics engineering and manufacturing partner that can tackle the complexity. With our contract services, Lectronix can be that partner. But even with the best team working on product introduction, the depth of technology content in today’s products is making it increasingly impractical to “design from scratch”. 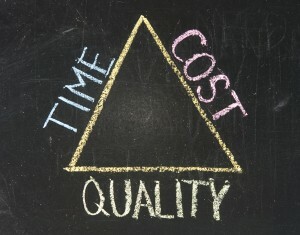 It becomes too costly and takes too long to reconstruct core technologies on a project-by-project basis. 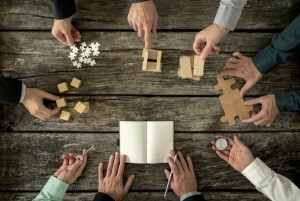 Quality and fast validation is easier to achieve when proven designs are reused. To help our customers overcome these barriers, Lectronix provides “building-block” technologies. This technology base is key to many of our customer partnerships, where complex products become possible with the head start Lectronix is able to offer. With these core technologies we frequently generate “aha!” moments with new customers when it becomes clear that the desired project is already largely complete. It’s our ability to understand the future of key technologies and have ready-made solutions on hand that helps Lectronix stand out as a key partner with our customers. Some of the key technologies we’re ready to apply to your new product introduction are described below. Contact Lectronix today and let our team provide a free initial consultation on how we can utilize these building blocks to bring your product to life. Lectronix provides complete platforms for automotive in-dash displays that are ready to tailor for your specific application. We have deep expertise and finished designs for leading automotive processors such as Freescale i.MX6 and work with the leading global suppliers for LCD displays. Learn more about how our ready-to-go platforms can get you started on a fast track. We are experts at extending the Android framework for embedded applications in a variety of industries. Not developing a phone? No problem. Our experienced design team is now offering turnkey development services for companies wishing to deliver high-reliability Android display devices that are tailored for your application. Learn more on how Lectronix can take your custom Android device from concept to production. The Internet of Things embeds electronics and communications into every day objects and makes them easier to use, monitor and maintain. One of the most powerful aspects of IoT is bringing you, your customers, and your products together in a cloud platform. We can help you select, implement, and optimize the best platform for your needs. Learn how Lectronix can take your custom IoT project from concept to production. Police vehicles are frequently overloaded with devices required by officers to perform their duty. Over the years, Lectronix has developed the most advanced integrated solutions ever fielded to consolidate audio,video, and controls for these devices. 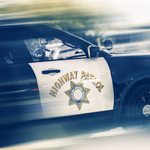 From police radios, to lights and sirens, to radars and DVRs, we have an extensive library of proven hardware and software modules for interface and control. 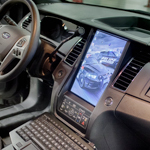 Learn how Lectronix can help build a smarter police car. Our innovative building blocks for heavy truck applications include rugged displays designed to meet the extreme environment and software modules to interface with the J1939 bus. 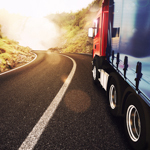 We have worked with the leading truck OEMs and provide innovative platforms that bring the flexibility of Android to serve the application needs of the OEM and fleet users. Read more about the building blocks we offer to jump start development of in-dash displays for heavy trucks. With the rapidly growing content of software and processing in automobiles, and the emergence of new trends like connected vehicles, Lectronix has developed a library of the necessary hardware and software building blocks to support rapid development of automotive modules. 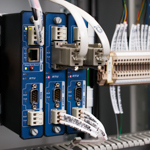 Lectronix has extensive know-how and design capability for the most demanding industrial control applications. 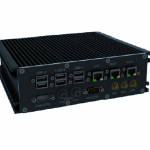 Lectronix provides customized Windows PC platforms for system integration into automotive environments. Leverage our know-how and up-to-date designs to simplify your system design.